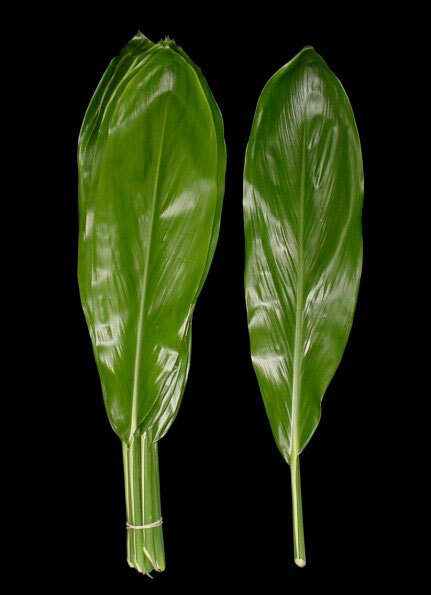 A long, dark-green, leathery leaf with a sturdy backbone, this leaf can grow to be over 24 inches long depending on season. It is a very versatile option for creating some added depth in different ways and is commonly used to line the interior of a vase so the stems of the contents go unseen. Just remember to cut the tough stem out of the leaf or it won’t bend very well.